- No business can truly avoid a disaster, and as we see time and time again, the recovery process is a long, slow and arduous process fraught with concern and indecision. Some businesses think creating a Business Continuity Plan that covers risk preparedness is just about as painful a process. Not any more. 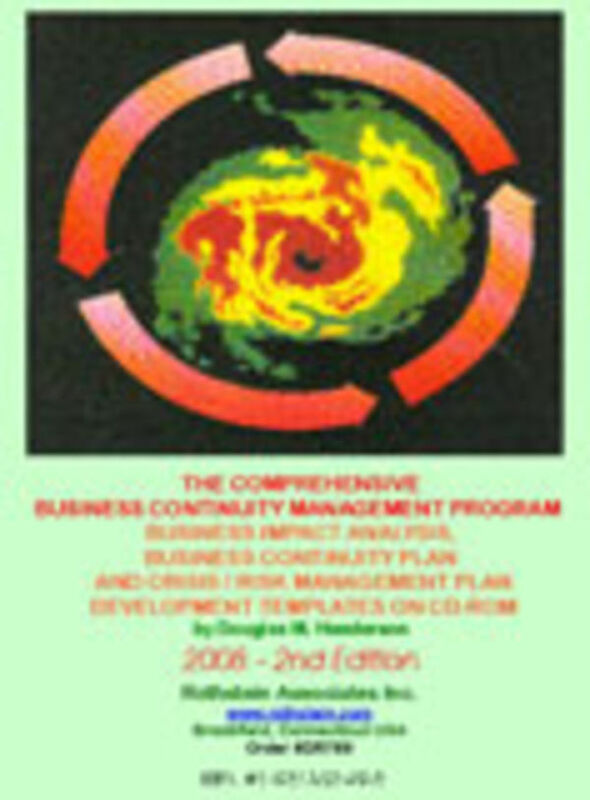 This CD-ROM contains all the information you need for your business to plan for when disaster strikes. It is the difference between successful survival and failure. Every portion of your business is covered by the easy to fill out forms and templates. Set up an internal and external communication plan; protect and recover your facilities; maintain critical support for finance and accounting; maintain employee support services; support your IT department; maintain new business operations for sales and marketing; in short, ensure all departments get back on track as quickly as possible. The files also include specific plans for hurricanes, floods, as well as pandemics. - You can also support your employees and their families with Emergency Response Plans. There are over 25 files on the disc, totaling over 850 pages and several bonus files are also included. Each file is a fill-in-the-blanks template created in Microsoft Word, and no special training is needed to use the programs. Author's notes and sample reports/plans guide you through the process, making it MUCH less painful than you ever thought such planning could be. Professional standards as recommended by worldwide disaster recovery organizations are used throughout as well as industry best practices. No, you can t prevent disaster from happening. But you can know how your business will react during and after an event. This is a simple way to make sure, and it s all contained on this unique and powerful tool.